In the era of low interest rates, newly built construction homes continue to sell quickly. Results from the Census Bureau in January showed that new home sales had dropped slightly since December of last year, but still remained firmly in the Bull Market range. The favorable mortgage environment backed by current mortgage rates continues to push first-time homebuyers and current homeowners towards buying new construction home with a low interest rate home loan. As current mortgage rates continue to drop, mortgage lenders are making it more and more simple for the first-time homebuyer to get a home loan with low interested approved. Fannie Mae has recently stated that the 3% HomeReady mortgage program combined with other mortgages such as low and no-down payment have been the reason for the availability to buyers in today’s market. Another type of mortgage, the Purchase Loan, is getting approved at the highest rate since the start of the decade. Right now is an excellent time to be shopping around for a home, while the best deals are yet to come. Every month the U.S. Census Bureau, combined with the U.S. Department of Housing & Urban Development release a New Home Sales report. A new home consists of a structure that has not been previously occupied. It can be considered new construction. For the month of January, the Housing & Urban Development has reported over 494,000 new homes sold on an annual basis in 2015. The hidden news in that large number is that it was actually a 5 percent decrease since the year prior. Builders remain unfazed though, as they continue to build and are ready for another strong year. To go with builders’ thoughts, the National Association of Homebuilders released their housing market index. They claim to show homebuilder confidence near record highs in a decade, with builders projecting new homes sales for 2016 to be the best they have seen in 3 years. The demand for new homes has remained strong, as evidence coming from the report of over 494,000 new structures being purchased. Right now is the time to buy your first new construction home, even though they may be harder to find than you might think. At the end of January there were only 238,000 homes for sale nationwide. Home prices are continuing to rise, but luckily for buyers in the market, interest rates are remaining low. 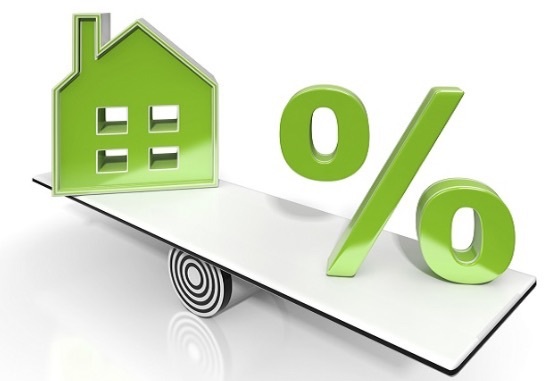 According to Freddie Mac, their Primary Mortgage Market Survey says that the 30-year mortgage rate is sitting at 3.62 percent for prime borrowers, offering lower rates for VA Loans, FHA Loans, and USDA Loans. Low interest rates make purchasing a new construction home easier. FHA Mortgages allow a down payment of just 3.5 percent and require a credit score of just 580 or better. For buyers with military experience, the VA Loan allows for 100% financing with no mortgage insurance. A VA loan combined with current mortgage rates can setup a first-time buyer with a low interest rate home loan. With sales of new construction homes, and strong demand for new and previously built homes, the market continues to surge back upward making it a buyers market. With today’s current mortgage rates remaining low, buyers have purchasing power and can even hold leverage negotiation on builders.